At Springfield Poultry there is only one difference between our Organic and Free Range Chickens. 1 thing and that is it. That one difference is the feed given to the birds. The husbandry, housing and outdoor access is the same for all our birds. This means all our Organic and Free Range birds are reared to the same high standards set by the Soil Association. The difference between the feed for our birds defines whether the Chicken is classified as Organic or Free Range. What makes Springfield birds different? 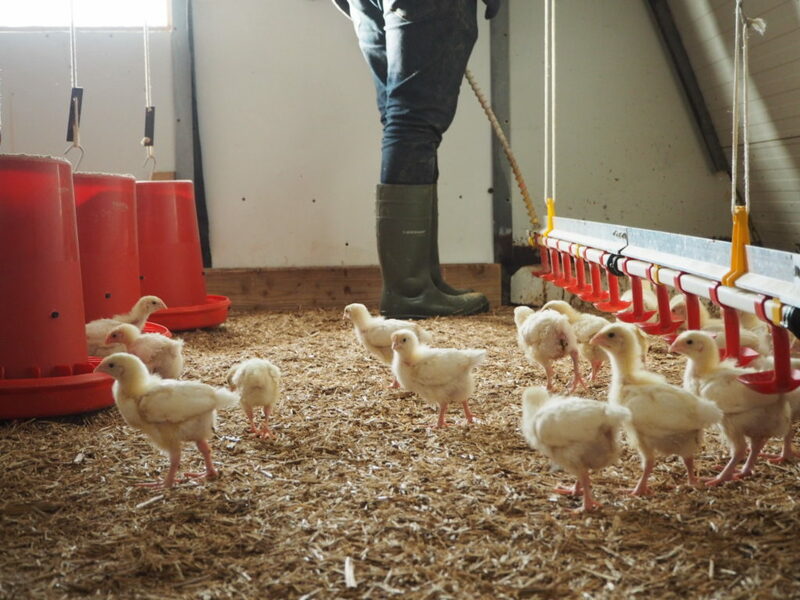 We slowly grow all our Free Range and Organic Chickens in the fields of Herefordshire. We only believe in high welfare farming methods, where our Chickens are free to roam from dawn to dusk. While we know the outdoors is important for a great tasting bird, the indoors is equally as important. All our Free Range and Organic Chickens have ample space in their sheds. Because of this our Chickens (and Turkeys) can spread their wings indoors and outdoors. With over 50 years of farming experience, we know that the high welfare calm lifestyle of our poultry is evident in the taste of the meat.